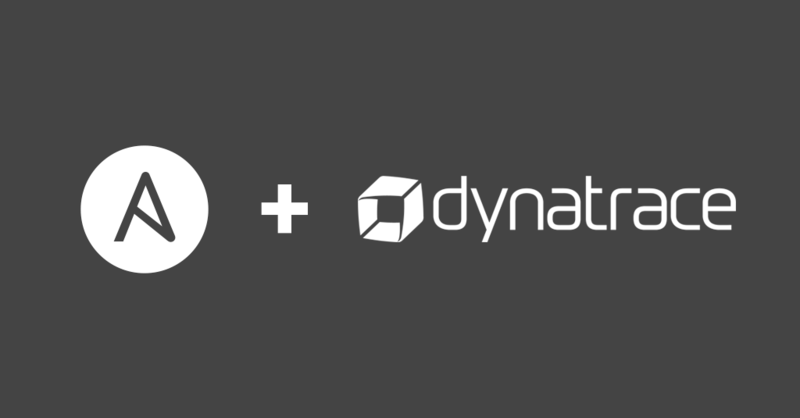 Thanks to Jürgen Etzlstorfer for giving us an overview of the Ansible and Dynatrace integration. 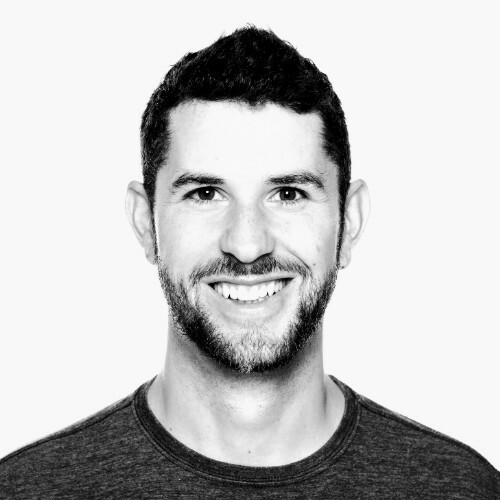 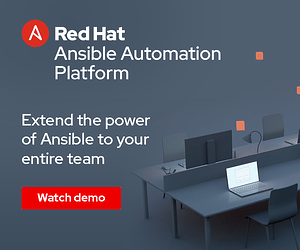 Considering the size, complexity and high rate of change in today's IT environments, traditional methods of monitoring application performance and availability are often necessary and commonplace in most operations teams. 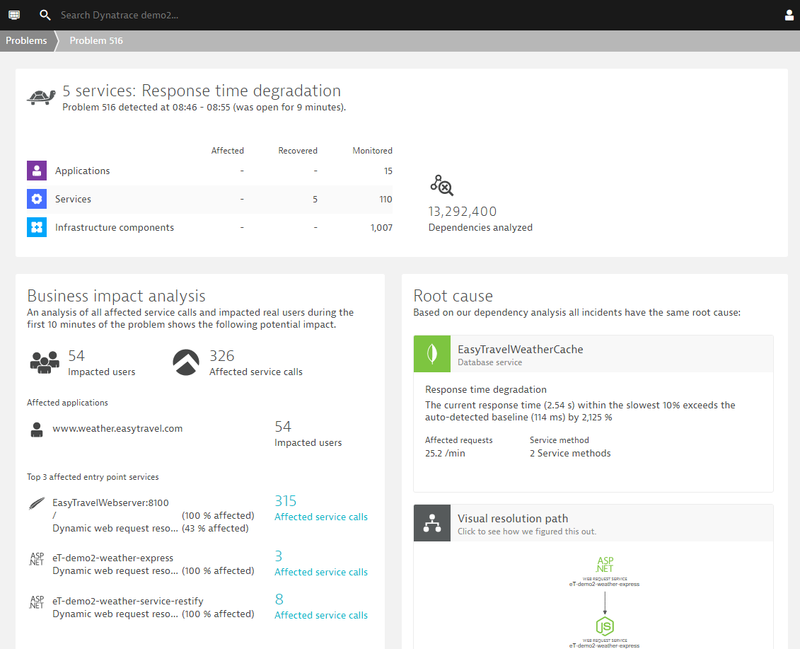 Application performance monitoring (APM) platforms are used to detect bottlenecks and problems that can impact the experience of your customers. 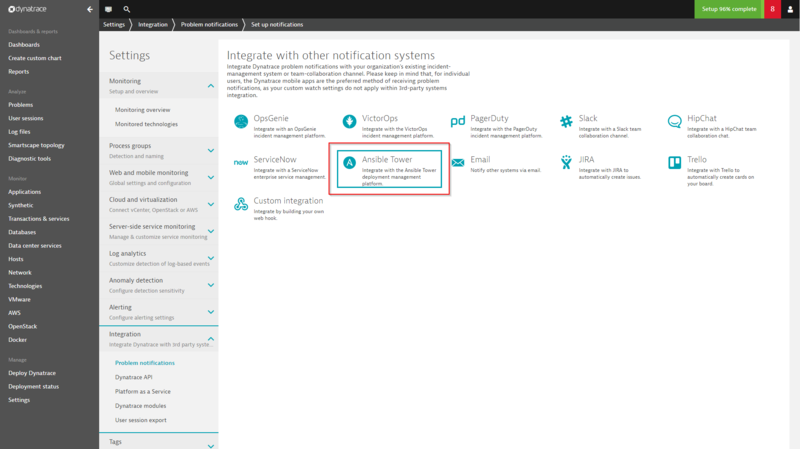 As you can see, the Dynatrace - Ansible Tower integration is designed to simplify the setup of IT management automation tasks. 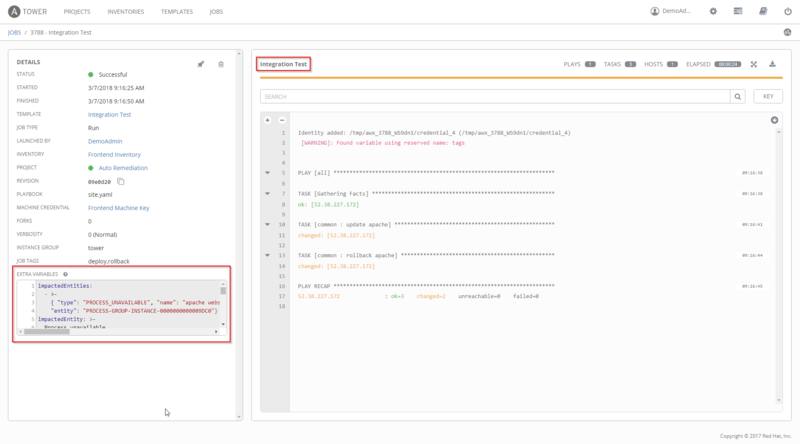 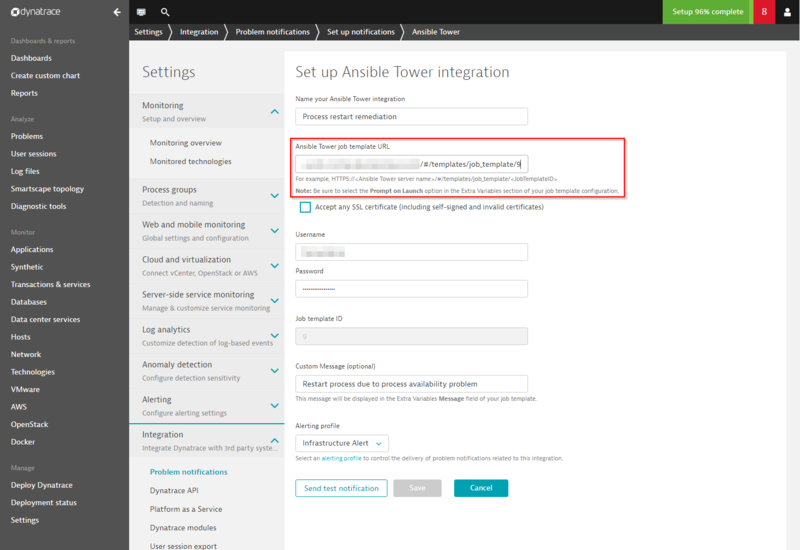 Furthermore, the integration of Ansible Tower into the Dynatrace Problem Notifications workflow enables self-healing applications by triggering pre-defined, automatable Ansible job templates that are executed by Ansible Tower each time a problem is detected.